Let me start by saying that you don’t need to learn how to create a marketing budget, because I’m going to give you free downloadable templates for it. Download, modify to include only the costs incurred by your marketing campaigns, and we’re all done. So what are we going to talk about now? The hard part is to come up with the marketing strategy that you need. 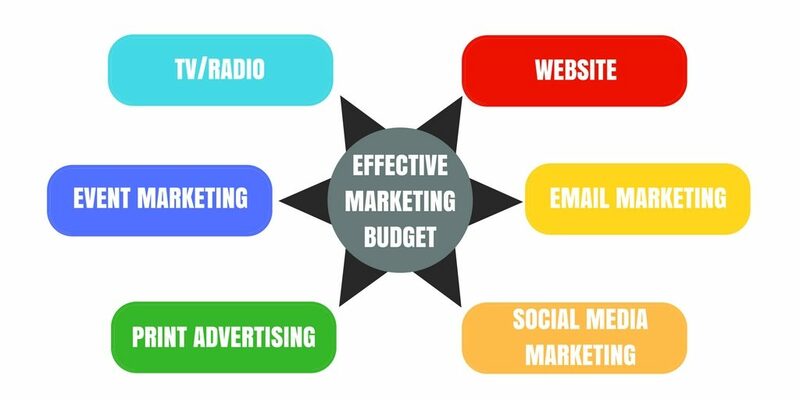 If you have that, you can easily create a marketing budget for executing this strategy. So let’s take this step by step. You need to list your objectives, identify your target audience, figure out how to reach them, and then tabulate the cost of all this. The success (and a lot of failure) in marketing centres around the ‘call to action’ or CTA. This is what you want people to do when they see your marketing content or ads. So your objective needs to be converted into a call to action that gets put in front of all the people you reach through your marketing campaigns. For eg: Our objective with this article is to ask you if you need office space. If you do, enter your email below and we’ll get back to you. We also have other marketing strategies and different CTAs for coworking, business address, company registration, training venue, etc. The point I’m trying to make is that you can find a lot of ways to reach your audience, if you know what is your main objective. Even if you know your objectives and create a great CTA, it won’t work if you put it in front of people who aren’t interested in what you’re trying to sell. The key to getting a solid lead generation and conversion rate is targeted marketing. Identify your target audience, figure out where they can be found, and then implement a marketing strategy to reach them. For eg: Evoma members are all SMEs, startups and corporate branches, so our social media marketing strategy focuses on B2B networking platforms such as LinkedIn. The problem with calculating marketing budgets is that there is no clear-cut formula that gives you an accurate amount. The marketing spending you do today may end up generating leads and sales revenue in the next month or the next quarter, or even the next fiscal year. But if you put the time-frame aside for a moment, then you can clearly reverse engineer the process to get hold of the marketing budget you need. For example: Let’s say Evoma is running a PPC (pay per click) campaign with a goal of getting 100 new leads from our website. Assume the bid that works for us is Rs.50 per click, and we are getting 10% conversions from these clickthroughs. We need 1,000 clicks at a 10% conversion rate in order to get 100 leads. At Rs.50 per click, the marketing budget for PPC works out to Rs.50,000 for the campaign. You can do this calculation for all your channels based on your lead generation and sales revenue targets. Bear in mind that calculations for all channels are not as easy as this. For example, SEO and branding are long-term efforts, and the money you spend now may only reflect as ROI after a few months. You also have to factor in churn, which means that you have to account for customers who quit after a short time. So what you really should be focusing on is the lifetime value of each customer, as opposed to the basic customer acquisition (marketing and sales) costs. Now you have your objectives and target audience, you know how to reach these customers, and you know how to calculate the costs you will have to pay on each channel. It’s time to calculate your total marketing budget. What are all your costs? List them down. Better yet, download these spreadsheets and modify them to match your requirements. You can download 12 different marketing budget templates for everything from events to social media marketing, content marketing, a website budget template, and an overall annual budget template.